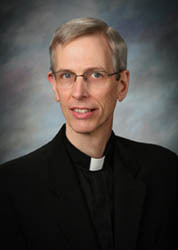 I am the executive director of The Institute for Priestly Formation at Creighton University. The Institute has been founded to assist in the spiritual formation of diocesan seminarians and priests in the Roman Catholic Church. The Institute was founded in 1994 and has conducted programs on Creighton�s campus and in various dioceses and seminaries since 1995. I was ordained a priest of the Diocese of Scranton, Pennsylvania in 1981, but I became a priest of the Archdiocese of Omaha in October 2015. In addition to enjoying the many aspects of my life as a priest, I enjoy music, especially playing organ and piano.